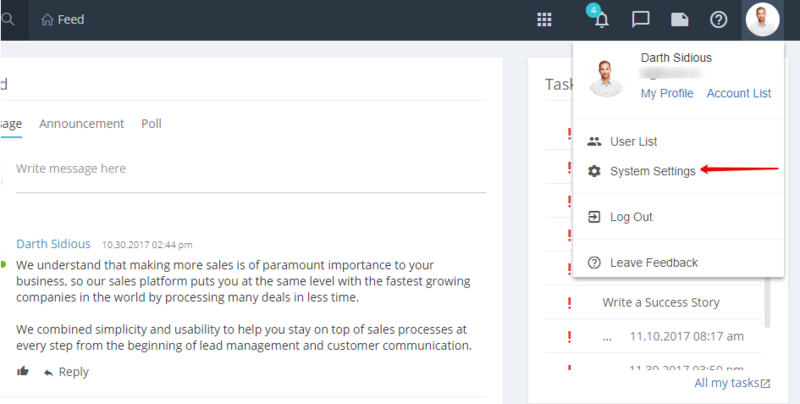 Just 5 minutes for global system settings to make Flowlu maximally suit your company. System settings section is available to portal administrators only. To get there click on avatar in top right corner and go to relevant tab. You will be immediately moved to “Main settings” section, where settings on whole portal level are set. Tips and tricks: Time zone settings are set here on all portal level. Though every user in his profile settings can change the time zone (if, for example, he works from remote locations. In this case, he will see time period which is relevant for him. 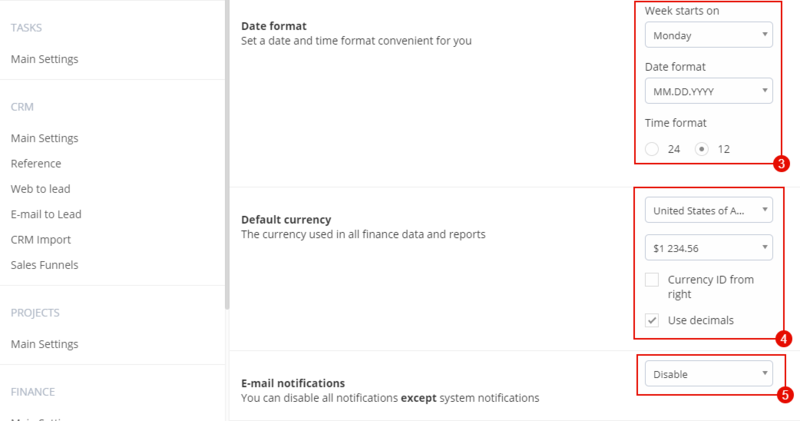 if needed, turn off e-mail notifications sent by system. You will not get e-mails containing notifications letters in chat only notifications on password change (5). How to invite user to join a team? How to set access rights to employees? How to designate a user as administrator? How to remove unused applications? keyboard_arrow_left How to use several accounts under one user account?